... for your interest in The e*Analyst ezine. You have just subscribed to one of the better net-business information resources available on the net. Your commitment to ongoing professional development is commendable, and we're confident you'll find The e*Analyst Ezine to be a valuable contributor to your e*Knowledge. The e*Analyst Ezine is published weekly. Each issue is focused on a different subject. There are 4 key topics in the cycle and, ... an audio 'comment' is included on every topic to better explain the written content. The e*Analyst companion mini-zine The Breaking News Edition is published at random... "whenever we become aware of information considered critical to the successful functioning of your web business." Special Note: Email publishing has lost its lustre for the serious online publisher. The e*Analyst Ezine is moving. As the S*PAM monster continues to rage, ISP's across the world are installing different and conflicting filtering protocols. 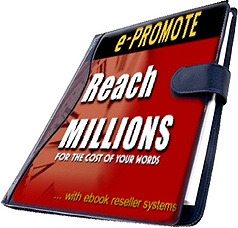 Thus, the first mission of any serious publisher is to actually get their ezine through to their legitimate subscribers. New International anti-s*pam laws are a complete mismatch of different solutions and will not stop the beast. We at The e*Analyst Ezine believe that the writing is on the wall, and therefore have decided to migrate our publication to a new technology. The e*Analyst Ezine is changing publication technology. It will be progressively migrated over to a new technology [channels] which does not use, nor need an email address to communicate with subscribers. This new technology gives subscribers COMPLETE control over their subscriptions. Also, subscribers can communicate with their publishers. AND... like email it's FR*EE. 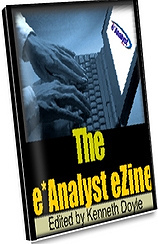 Subscribe to the CHANNEL version of The e*Analyst Ezine HERE. To find out what this new channel technology is all about click HERE.